Why your company should also choose SAP Business 1! It is not the size of your company, it is all about an efficient daily control of your business and processes, where you constantly have the best overview of all the challenges that your business faces and how you manage everything from your production line to customer relations. SAP Business 1 is one of the best ERP systems globally on the market with the aim of running every aspect of your business within one global solution. If you are a start-up company or a very small company with very limited complexity to your business, you are surely able to find more suitably priced solutions for your business, where the primary goal is to be able to invoice, order and submit reports for vat and yearly financial reports. However at a point your business will grow in size and in complexity, and you may well find yourself in need for advanced production control, stock and delivery solutions, currency regulation and control, and a strong focus on optimizing every aspect of your business processes. You may choose to run different software systems and integrate each of them to create a business structure that provides you with the right tools and makes your business grow, and you may succeed for a while. However there will come a time when this may put your business at risk because different systems require more updating and more manual control. More often than not the foundation that you have built your business upon, will slowly become a hindering block and in fact add complexity where you don’t need it. At that point you need to make the right decision and we firmly believe that SAP B1 is that solution. 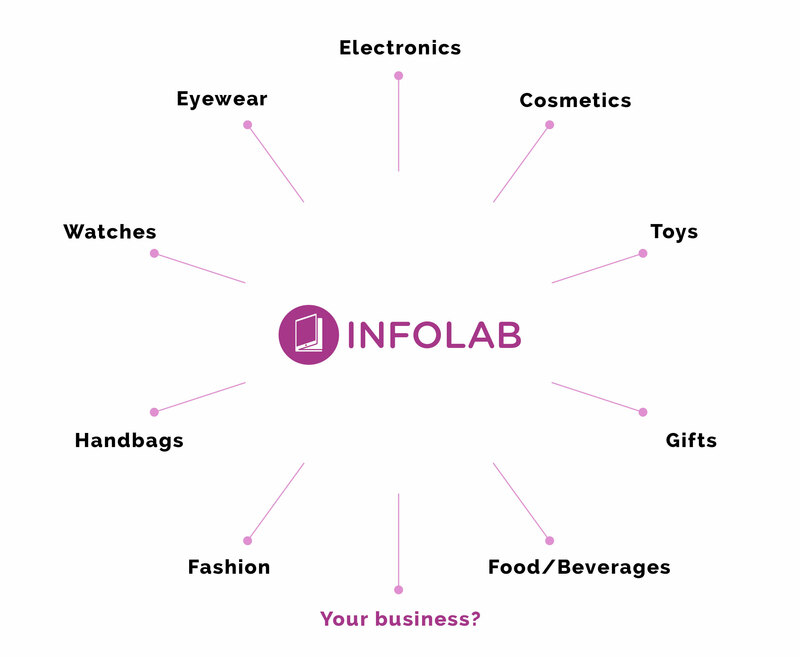 We invite you to read more about SAP Business One on our page and we hope that you get an idea of how we at Infolab can help you make solid business decisions and how we can help you scale and enjoy a solid business structure that will allow you to grow your business for many years to come. Please contact us for any requirements that you may have. With our mobile based CRM Solution you can review and finish orders directly with your client on your tablet. Review previous orders, former bestsellers and complete the full sales cycle directly and instantly. Either show one product or group more products as a package deal at the same time. Highlight various features and show the products from several different angles in one photo stream. Setting up the full list of product features will give you more orders and decrease your level of possible errors. You save valuable time and will be able to spend more time interacting with the customer and increasing your business with him. A simple setup of your different catalogues and brands will ensure that your data is always up-to-date. Our advanced zoom functions will allow you to zoom into even the smallest feature of a product. In your catalogue you can filter for almost any information and detail such as style, colour, price, material, dimension, weight. Pull any other information from the system that is relevant for your products and your customer data. With the correct setup of your products and presentation material, you ensure that both your sales staff and your customers are always up to date with your products and features. Make sure your sales team has the best tools on the market to close deals.